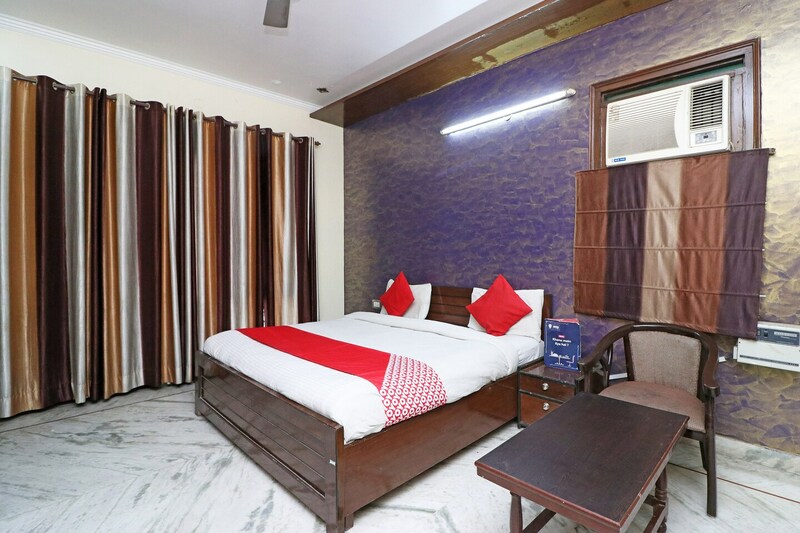 Dev Palace is a trendy yet budget stay with colourful rooms in Plot No. 807, in Sector 47, near Sohna Road, in Gurgaon. It is close to SRS Cinemas, Tau Devi Lal Sports Complex, Guru Nanak Park and HUDA Colony. The property has a kitchen on the premises and vibrant common areas. The rooms have colourful wallpapers, elegant wooden furniture, and open up to balconies. Some of the bathrooms have vibrant tiles and all have modern fixtures. Every room is equipped with TV, AC, and seating area. The property provides free Wi-Fi, power backup, card payment system, CCTV protection, parking and laundry services too. There are eateries like Salad Company, Ki Hangla, CURRYSUM, Atithi Satkar and Hotel Malabar in the vicinity.